The questions that everyone has been asking about Detroit’s forthcoming RoboCop statue—other than “Really?”—are virtually all addressed in this i09 interview with Pete Hottelet, founder of real marketing for fictional brands company Omni Consumer Products, and a major investor in the campaign. (Strangely, Hottelet doesn’t seem all that concerned about RoboCop’s tenuous relationship with OCP.) 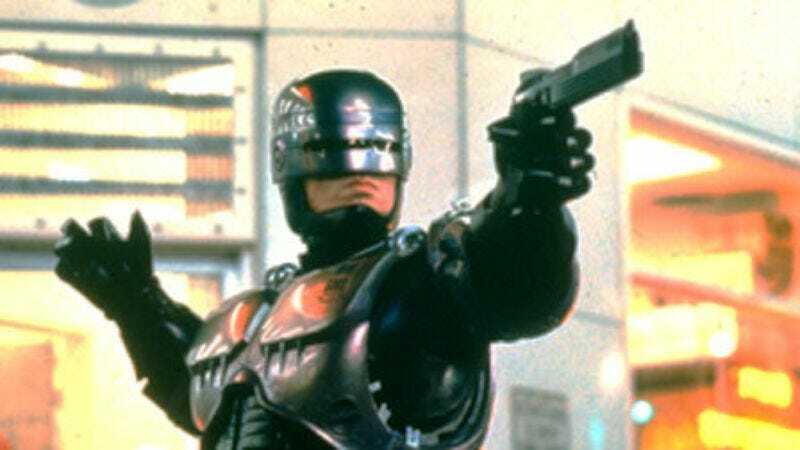 According to Hottelet, the project will utilize the services of “celebrity robot” recreation service Fred Barton Productions—which has been working independently on a RoboCop replica for the past five years—and will be “a perfect depiction of RoboCop as is possible by non-augmented arthropods.” Various other topics are addressed, such as confirming that it will have a classic “mask on” look and skip the much-derided jet pack add-on of RoboCop 3, and that every effort has been made to ensure that the statue is officially licensed and sanctioned by MGM. Not addressed: when Hottelet’s company is going to start making some Nuke. Let's put those old cassette tape cases to work, dude.